Description: Quaint country home (2700 sf) with nice 3000 sf detached shop/garage, located on 7.3 acres. 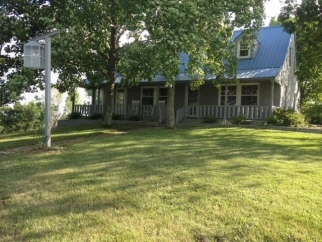 Recent renovations (roof, windows, bathrooms and kitchen), best view and front porch in clark county, mature trees, 5 min. From new county high school, in ground dog fence, walnut grove. Excellent setup for small contractor, part time auto mechanic/body person, hobby enthusiast or gentlemen farmer. Data believed correct but not guaranteed. Buyer to verify data prior to offer. Agents read agent remarks.